A Sri Lankan information communication technology (ICT) expert will speak at next month’s Certified Practicing Accountants congress at Shangri-La’s Fijian Resort and Spa, Yanuca Island. Jayantha Fernando has over 15 years international and South East Asian experience in a broad range of ICT legal issues. Mr Fernando covers ICT policy and legal reforms, negotiating and drafting a range of information technology contracts, cyber security and internet governance issues. Since 1997, he pioneered the drafting of several ICT-related legislation in Sri Lanka, including the Electronic Transactions Act Number 19 of 2006 and the Computer Crimes Act Number 24 of 2007. 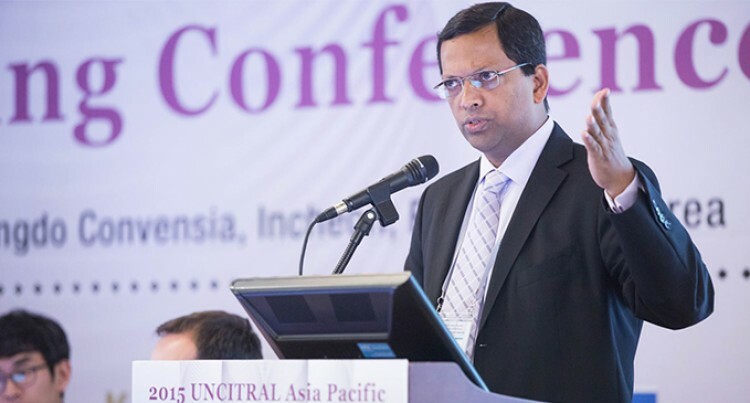 He gave leadership to Sri Lanka’s accession to the Budapest Cybercrime Convention (2015) and Sri Lanka’s ratification of the United Nations Electronic Communications Convention (2015), both firsts for South-East Asia. Mr Fernando is currently the director/legal advisor at the ICT agency (ICTA) of Sri Lanka. For 10 years, he shared operational responsibility for the implementation “e-Sri Lanka development project,” the flagship ICT development initiative of the World Bank, with which he was involved from inception (2002) through the design phase. He was also an executive staff member during the initiative’s implementation. Mr Fernando was instrumental in devising the legal blueprint to establish ICTA and helped establish Sri Lanka computer emergency response team co-ordination centre. He developed the legal framework for the use of authentication technologies at the National cheque clearing house (Lanka Clear), which is now used in the inter-bank payment systems and cheque imaging and truncation system. He is the current chairman of the Board of LK Registry. He is also on the board of many entities and has traveled extensively to over 70 countries, speaking as an invited expert. In his spare time he lectures widely on ICT legal issues at local and foreign universities.